Countless people suffer with muscle and joint pain—a low back condition, chronic arthritis or simple over use. The good news is, aquatic exercise may be the answer to long lasting relief. Here’s how a swim spa can help you better manage pain. Living with chronic pain makes it difficult to exercise. Yet inactivity often feeds pain, resulting in more stiffness and muscle fatigue. A swim spa offers a cushioned environment, making it easy to stretch, walk in place and swim pain free. Heat targets stiff muscles and joints, reducing pain and increasing flexibility for easier movement. The relaxed environment of the water soothes the body for long lasting relief. With a never-ending current, the swim spa makes it possible to swim laps from the privacy and comfort of home. 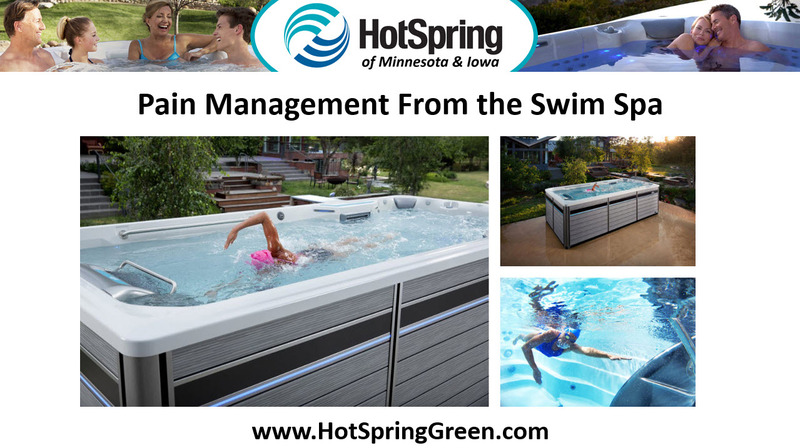 Designed specifically to fit in compact spaces, swim spas cost less to maintain than traditional pools and are easier to care for.